"I'll go back to our campaign slogan. Government has lost its power to positively affect our people's lives because of corruption. Therefore, the first priority has to be to address the issue of corruption. Get government's power back so that they can empower the people, and empower them in so many areas -- education, in health, in having a judicial system that works and so on and so forth." "I will not only not steal, but I will run after thieves. We lead by example." The annual renewal of local business permits and licenses is easier now compared to three years ago, according to 70% of enterprise managers in Metro Davao, 67% in Cagayan de Oro/Iligan City (CDO-I), 61% in Metro Cebu, 48% in CALABA, and 47% in Metro Manila, based on the 2009 SWS Surveys of Enterprises on Corruption, conducted from November 3 - December 5, 2009 [Chart 1]. This is reported in a new section on Transparency of Local Government Procedures in the 2009 SWS Surveys of Enterprises on Corruption. In another special section of the survey, dealing with the 2010 elections, 31% of managers expect companies to donate to political campaigns. 1. Managers consider public sector corruption to be high and stagnant. The farther from the local level, the more that corruption happens. 2. Sincerity in fighting corruption varies across agencies. It was notably up in trial courts, Armed Forces of the Philippines (AFP), Department of Justice (DOJ), Government Service Insurance System (GSIS), Commission on Elections (Comelec), and Presidential Commission on Good Government (PCGG). On the other hand, it was notably down in Commission on Audit (COA), Department of Finance (DOF), Department of Budget and Management (DBM), Department of Transportation and Communication (DOTC), Presidential Anti-Graft and Corruption (PAGC), Department of Environment and Natural Resources (DENR), and Office of the President. 3. On government efforts to fight corruption, half of managers see improvement in transparency in bidding for a government contract. 4. 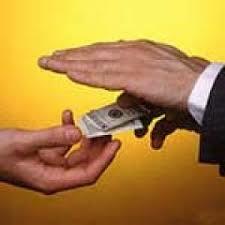 The proportion of enterprises solicited for a bribe was below the 2008 peak, but still a high 60%. 5. Majority of managers find transparency in local government procedures. At least two-thirds do not use intermediaries in local business permit renewals. 6. Two-fifths of managers sense improvement in public access to information; three-fourths support passage of a strong law on right to information. 7. Managers consider private sector corruption to be less than public corruption. However, the trend is flat. 8. Willingness of enterprises to fund an anti-corruption program is back to 5% of net income, similar to 2005 and 2006 after a slump in 2007. 9. Managers reporting honest business practices in their sector remain few. 10. In voting for President, "fighting corruption" and "creating jobs" are first and second priorities of both managers and the public. Third priority is "promoting a good business environment" for managers, but"eradicating poverty" for the public. 11. Managers consider the business climate to be better than 2008. Compared to 2004, donations from companies to the 2010 election campaigns are expected to come from fewer contributors, to be smaller in size, and to be more voluntary. In 2009, 31% of managers expect that enterprises will donate to political campaigns, consisting of 17% saying companies will donate to more than one candidate for a single position and 14% saying they will donate to only one candidate for a single position [Chart 2]. In 2004, 45% of managers expected companies to donate to political campaigns, consisting of 33% saying they will donate to more than one candidate for a single position and 12% saying they will donate to only one candidate for a single position. In 2009, 44% of managers estimated the amount of company donations to political campaigns to be less than Php50,000, 15% estimated it at Php50,000-99,000, 19% at Php100,000-499,000, 6% at Php500,000-999,000, and 12% at Php1 million and above [Chart 3]. In 2004, 41% estimated it to be less than Php50,000, 15% estimated it at Php50,000-99,000, 25% atPhp100,000-499,000, 6% at Php500,000-999,000, and 9% at Php1 million and above. In 2009, 24% of managers say the company donations to political campaigns are voluntary, 64% say they arepartly voluntary and partly solicited, and 12% say they are all solicited [Chart 4]. In 2004, only 11% say these donations are voluntary, 75% say they are partly voluntary and partly solicited, and 14% say they are all solicited. Managers reported that the two most important reasons for companies to donate to political campaigns are"the company believes in a candidates' platform" (68%) and "the company might need help from a candidate in some future problems" (50%). Two problems, in particular, have plagued the civil service: corruption (especially in the Bureau of Customs and the Bureau of Internal Revenue) and the natural tendency, in the absence of a forceful chief executive, of cabinet secretaries to run their departments as independent fiefdoms. Bribes, payoffs, and shakedowns characterized Philippine government and society at all levels. The Philippine Chamber of Commerce and Industry estimated in 1988 that one-third of the annual national budget was lost to corruption. Corruption also occurred because of cultural values. The Filipino bureaucrat who did not help a friend or relative in need was regarded as lacking a sense of utang na loob, or repayment of debts. Many Filipinos recognize this old-fashioned value as being detrimental to economic development. A 1988 congressional study concluded that because of their "personalistic world view," Filipinos were "uncomfortable with bureaucracy, with rules and regulations, and with standard procedures, all of which tend to be impersonal." When faced with such rules they often "ignore them or ask for exceptions." The Philippine Constitution of 1987 and subsequent laws created anti-corruption agencies that, with other government and non-government initiatives, battle corruption. Graft and corruption in the Philippines have been “decried since the Spanish colonization in the 16th century”, but much has been done in the past five decades to combat the problem. This Act enumerates corrupt practices by public officers, declares them unlawful, and provides penalties including prison terms and perpetual disqualification from public office. This law also requires a statement of assets and liabilities every two years from all government personnel, and provides for confiscation or forfeiture of unexplained wealth. The Constitution holds public trust as the fundamental principle of office, and requires full integrity and accountability of public officers and employees. The President, Vice-President, and members of the Supreme Court may be impeached for bribery, graft, corruption, and betrayal of public trust. Other public officials can be prosecuted and removed from office under existing law. The Office of the Ombudsman serves as the people’s watchdog and protector by promptly investigating and acting on complaints filed against public officials and employees. The primary institution for preventing graft and corruption, it provides Deputy Ombudsmen for the military and three geographical subdivisions. The Civil Service Commission promotes efficient and responsive public service as a career, strengthens the merit system, and develops human resources. Its anti-corruption functions include promoting public accountability, enforcing ethical standards and behavior, and conducting values orientation workshops. The Commission on Audit examines government income and revenues, as well as expenditures and performance in handling funds. Aside from ensuring financial accountability, the Commission may also explore the economy, efficiency, legality, and regularity of government operations, along with effectiveness and impact of programs. The Sandiganbayan, literally “pillar of the nation,” is a special court with jurisdiction over civil and criminal cases involving graft and corruption. Subsequent legislation placed the Sandiganbayan on par with the Court of Appeals, with the Supreme Court the only higher authority. The Constitution grants these organizations fiscal autonomy, so their commissioners can act independently to fulfill their duties without fear of reprisal from other government agencies. The actions of these special bodies can be appealed only to the Supreme Court. Each president has appointed agencies to investigate anomalous members of the administration, swiftly prosecute accused executive department officials, coordinate efforts inhibiting graft and corruption, decentralize graft-busting, etc. Examples are the President’s Committee on Public Ethics and Accountability (PCPEA) of President Aquino, and President Arroyo’s Presidential Anti-Graft Commission (PAGC). The National Coalition of Transparency, launched in 1989, was composed of over thirty anti-corruption NGOs, and was significant in recognizing the private sector’s culpability in governmental corruption. Some organizations are specialized, like National Citizens Movement for Free Elections (NAMFREL) focusing on election irregularities, and the Anti-Police Scalawag Group (APSG) concerned with police corruption. Other initiatives address the socio-cultural environment which permits graft and corruption. 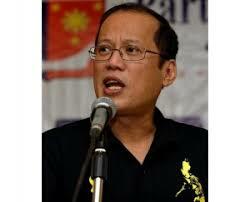 Examples include the 1987 Senate resolution to study strengths and weaknesses of Filipino character, with a view toward strengthening anti-corruption values and attitudes in society, the Aquino administration’s Values Educational Program begun in public schools in 1988, and President Ramos’ Moral Recovery Program of 1992. The Ramos program called for active participation by all sectors of society, with the focus on individuals and values formation. The long-term remedy for corruption in the Philippines is individual character development, but existing institutions must be aggressively used in the short-term fight. The Philippines’ anti-corruption institutions are only as good as the individuals who administer them, and integrity is the real problem. While development of honest citizens and public servants through values formation is the key to long-term victory, existing institutions must be employed for the short term. Anti-corruption laws and agencies must be used to fight theft from the government. Public officials and private businessmen must be convinced, by increasing risks and decreasing benefits of dipping into public coffers, that such crime doesn’t pay. The Commission on Audit, responsible for financial accountability and legality of government operations, must diligently uncover corruption. Individuals of the highest integrity and fortitude must be positioned to expose graft at every level, and withstand pressure from individuals or syndicates trying to protect illicit dealings. The Office of the Ombudsman targeted graft-prone agencies based upon several criteria, and classified as graft-prone 9 of 19 Departments, plus 7 other national bureaus, boards, and administrations. The Ombudsman, responsible for graft prosecution, must work closely with the Commission on Audit to investigate suspect officials and employees. Corrupt practices and corresponding terms of imprisonment are legislated, and the government must zealously prosecute and punish offenders. The Sandiganbayan, a special court with jurisdiction over civil and criminal graft cases, should grant leniency sparingly. According to the Philippine National Police, public money lost to graft is usually not recovered. However, anti-graft law provides for confiscation of unexplained wealth, and the Philippines must aggressively pursue recovery of public funds, whether within the country or funneled to North America, Europe, etc. Allowing offenders to keep their illicit gains sends the message that the benefits of corruption are worth the risk. The long-term solution to corruption is reforming socio-cultural norms by instilling new values. Conflict exists between traditional values relating to “obligation toward kinship, friendship, and primary groups”, common in the rural and tribal contexts, and values necessary for nation building. Values formation, or reformation, must engender a view of government posts as positions to serve, not personally profit. Citizens need to understand that motorists who bribe the traffic cop with 50 pesos, instead of taking the 500-peso ticket, are fostering graft. The Aquino administration tasked the education ministry to develop values education, and the Values Educational Program was established in 1988 for public elementary schools. In 1989, values education expanded and became a daily subject for all four years of secondary education, and in 2002 the new "Makabayan (Love for the country)" program was introduced, integrating social studies and other subjects with values education. Research indicates that Philippine youth educated under these programs place much higher value on honesty than did traditional culture. The long-term remedy to corruption is being applied, as the first Filipinos to complete the entire values education program are now reaching their mid-20s, and hopefully entering professions and positions where they will begin to change society. However, metamorphosis will not occur overnight, and anti-corruption institutions must be used in the interim to continue rooting out influential, well-entrenched individuals and syndicates with big stakes in the culture of corruption. Despite efforts by the government and civil society corruption remains a serious problem in the Philippines. According to a recent country report, the National Integrity System in the Philippines faces two major problems. Firstly, legislation tends to under-legislate (as in the lack of protection for whistleblowers) or over-legislate (like, for instance, in government regulations). The second problem is ‘more disturbing’: the study found that all the integrity pillars are ‘tainted by internal corruption and are therefore heavily compromised’, ‘unable to perform their functions and operate effectively’. For example, the constitutional commissions are not independent and the public procurement system is plagued with misappropriation problems. Losing the fight against corruption After more than nine years in power, the Arroyo administration has all but lost the fight against corruption. The World Bank-sponsored governance indicators show that in 2000, the year before Arroyo assumed power, the Philippines was better than 36.4% of all governments in the study. In 2008, that percentile rank on control of corruption was down to 26.1%. We bring together practitioners, researchers, and students. TRACE International, Inc. is a non-profit membership association that pools resources to provide practical and cost-effective anti-bribery compliance solutions for multinational companies and their commercial intermediaries. Because it erodes trust in government, corruption must certainly be condemned and corrupt officials resolutely prosecuted. Corruption also weakens the moral bonds of civil society on which democratic practices and processes rest. But although research suggests it has some bearing on the spread of poverty, corruption is not the principal cause of poverty and economic stagnation, popular opinion notwithstanding. The “corruption-causes-poverty narrative” has become so hegemonic that it has often marginalized policy issues from political discourse. This narrative appeals to the elite and middle class, which dominate the shaping of public opinion. It’s also a safe language of political competition among politicians. Political leaders can deploy accusations of corruption against one another for electoral effect without resorting to the destabilizing discourse of class. Yet this narrative of corruption has increasingly less appeal for the poorer classes. Despite the corruption that marked his reign, Joseph Estrada is running a respectable third in the presidential contest in the Philippines, with solid support among many urban poor communities. But it is perhaps in Thailand where lower classes have most decisively rejected the corruption discourse, which the elites and Bangkok-based middle class deployed to oust Thaksin Shinawatra from the premiership in 2006. While in power, Thaksin brazenly used his office to enlarge his corporate empire. But the rural masses and urban lower classes—the base of the so-called “Red Shirts”—have ignored this corruption and are fighting to restore his coalition to power. They remember the Thaksin period from 2001 to 2006 as a golden time. Thailand recovered from the Asian financial crisis after Thaksin kicked out the International Monetary Fund (IMF), and the Thai leader promoted expansionary policies with a redistributive dimension, such as cheap universal health care, a one-million-baht development fund for each town, and a moratorium on farmers’ servicing of their debt. These policies made a difference in their lives. Thaksin’s Red Shirts are probably right in their implicit assessment that pro-people policies are more decisive than corruption when it comes to addressing poverty. Indeed, in Thailand and elsewhere, clean-cut technocrats have probably been responsible for greater poverty than the most corrupt politicians. The corruption-causes-poverty discourse is no doubt popular with elites and international financial institutions because it serves as a smokescreen for the structural causes of poverty, and stagnation and wrong policy choices of the more transparent technocrats. The case of the Philippines since 1986 illustrates the greater explanatory power of the “wrong-policy narrative” than the corruption narrative. According to an ahistorical narrative, massive corruption suffocated the promise of the post-Marcos democratic republic. In contrast, the wrong-policy narrative locates the key causes of Philippine underdevelopment and poverty in historical events and developments. The complex of policies that pushed the Philippines into the economic quagmire over the last 30 years can be summed up by a formidable term: structural adjustment. Also known as neoliberal restructuring, it involves prioritizing debt repayment, conservative macroeconomic management, huge cutbacks in government spending, trade and financial liberalization, privatization and deregulation, and export-oriented production. Structural adjustment came to the Philippines courtesy of the World Bank, the IMF, and the World Trade Organization (WTO), but local technocrats and economists internalized and disseminated the doctrine. Corazon Aquino was personally honest—indeed the epitome of non-corruption—and her contribution to the reestablishment of democracy was indispensable. But her acceptance of the IMF’s demand to prioritize debt repayment over development brought about a decade of stagnation and continuing poverty. Interest payments as a percentage of total government expenditures went from 7 percent in 1980 to 28 percent in 1994. Capital expenditures, on the other hand, plunged from 26 percent to 16 percent. Since government is the biggest investor in the Philippines—indeed in any economy—the radical stripping away of capital expenditures helps explain the stagnant 1 percent average yearly growth in gross domestic product in the 1980s, and the 2.3 percent rate in the first half of the 1990s. In contrast, the Philippines’ Southeast Asian neighbors ignored the IMF’s prescriptions. They limited debt servicing while ramping up government capital expenditures in support of growth. Not surprisingly, they grew by 6 to 10 percent from 1985 to 1995, attracting massive Japanese investment, while the Philippines barely grew and gained the reputation of a depressed market that repelled investors. During the long Arroyo reign, the debt-repayment-oriented macroeconomic management policy that came with structural adjustment stifled the economy. With 20-25 percent of the national budget reserved for debt service payments because of the draconian Automatic Appropriations Law, government finances were in a state of permanent and widening deficit, which the administration tried to solve by contracting more loans. Indeed, the Arroyo administration contracted more loans than the previous three administrations combined. When the deficit reached gargantuan proportions, the government refused to declare a debt moratorium or at least renegotiate debt repayment terms to make them less punitive. At the same time, the administration did not have the political will to force the rich to take the brunt of bridging the deficit, by increasing taxes on their income and improving revenue collection. Under pressure from the IMF, the government levied this burden on the poor and the middle class by adopting an expanded value added tax (EVAT) of 12 percent on purchases. Commercial establishments passed on this tax to poor and middle-class consumers, forcing them to cut back on consumption. This then boomeranged back on small merchants and entrepreneurs in the form of reduced profits, forcing many out of business. The straitjacket of conservative macroeconomic management, trade and financial liberalization, as well as a subservient debt policy, kept the economy from expanding significantly. As a result, the percentage of the population living in poverty increased from 30 to 33 percent between 2003 and 2006, according to World Bank figures. By 2006, there were more poor people in the Philippines than at any other time in the country’s history. The Philippine story is paradigmatic. Many countries in Latin America, Africa, and Asia saw the same story unfold. Taking advantage of the Third World debt crisis, the IMF and the World Bank imposed structural adjustment in over 70 developing countries in the course of the 1980s. Trade liberalization followed adjustment in the 1990s as the WTO, and later rich countries, dragooned developing countries into free-trade agreements. Because of this trade liberalization, gains in economic growth and poverty reduction posted by developing countries in the 1960s and 1970s had disappeared by the 1980s and 1990s. In practically all structurally adjusted countries, trade liberalization wiped out huge swathes of industry, and countries enjoying a surplus in agricultural trade became deficit countries. By the beginning of the millennium, the number of people living in extreme poverty had increased globally by 28 million from the decade before. The number of poor increased in Latin America and the Caribbean, Central and Eastern Europe, the Arab states, and sub-Saharan Africa. The reduction in the number of the world’s poor mainly occurred in China and countries in East Asia, which spurned structural readjustment policies and trade liberalization multilateral institutions and local neoliberal technocrats imposed other developing economies. China and the rapidly growing newly industrializing countries of East and Southeast Asia, where most of the global reduction in poverty took place, were marked by high degrees of corruption. The decisive difference between their performance and that of countries subjected to structural adjustment was not corruption but economic policy. Despite its malign effect on democracy and civil society, corruption is not the main cause of poverty. The “anti poverty, anti-corruption” crusades that so enamor the middle classes and the World Bank will not meet the challenge of poverty. Bad economic policies create and entrench poverty. Unless and until we reverse the policies of structural adjustment, trade liberalization, and conservative macroeconomic management, we will not escape the poverty trap. FPIF columnist Walden Bello is a representative of the party-list Akbayan in the Philippine House of Representatives. Foreign Policy In Focus, www.fpif.org. Cultural assumptions about rightness or wrongness of individual behavior, a point of religious doctrine, and Spanish colonial experience may influence Philippine graft. Two major institutions in the Philippine government foster graft and corruption at the national level through allocation of funds and contract irregularities. The misuse of public money for private gain poses a very grave challenge to national development in the Philippines, and the magnitude of the problem is staggering. The International Anti-Corruption Conference is the world premier forum that brings together civil society, heads of state and the private sector to tackle the increasingly sophisticated challenges posed by corruption. The IACC takes place every two years in a different region of the world, and attracts up to 1500 participants from over 135 countries. The conference serves as the premier global forum for the networking and cross-fertilisation that are indispensable for effective advocacy and action, on a global and national level. The 14th IACC was held 10 - 13 November, 2010 jointly hosted by the IACC Council, the National Anti-Corruption Commission, the Royal Thai Ministy of Justice and Transparency Thailand and Transparency Internationalat the Queen Sirikit National Convention Centre located in the heart of Bangkok.